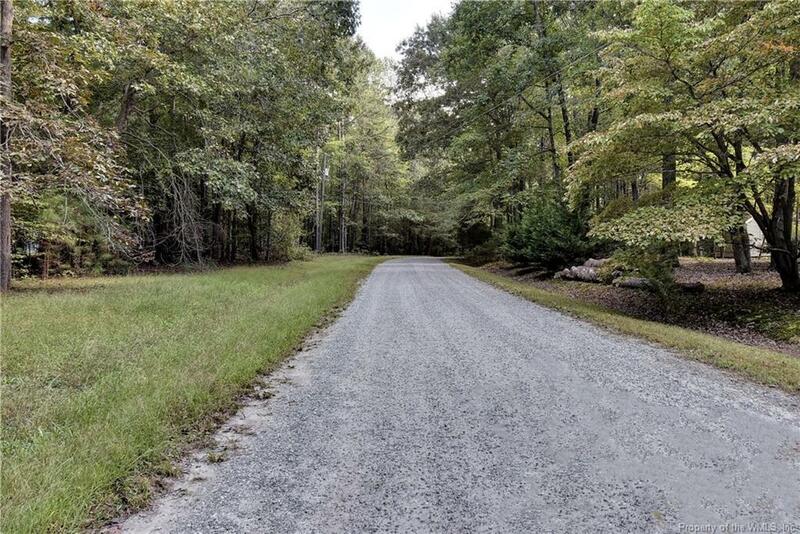 10037 Deer Trace Lane, Gloucester, VA 23061 (#1828230) :: Abbitt Realty Co. SELLER TO PAY $3,500 CLOSING COST WITH REASONABLE OFFER! 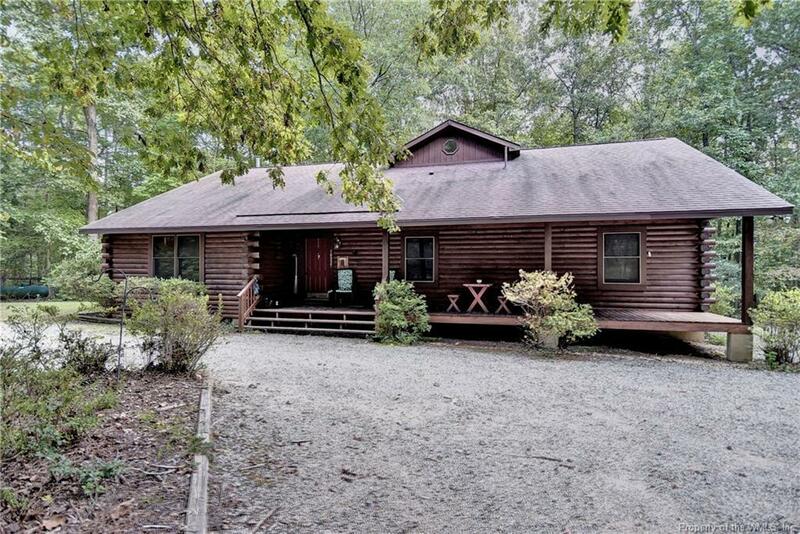 Surrounded by 5.43 acres of private and peaceful woods, this comfortable and relaxing Log Cabin is sure to bring endless days of delightful happiness for family and friends! 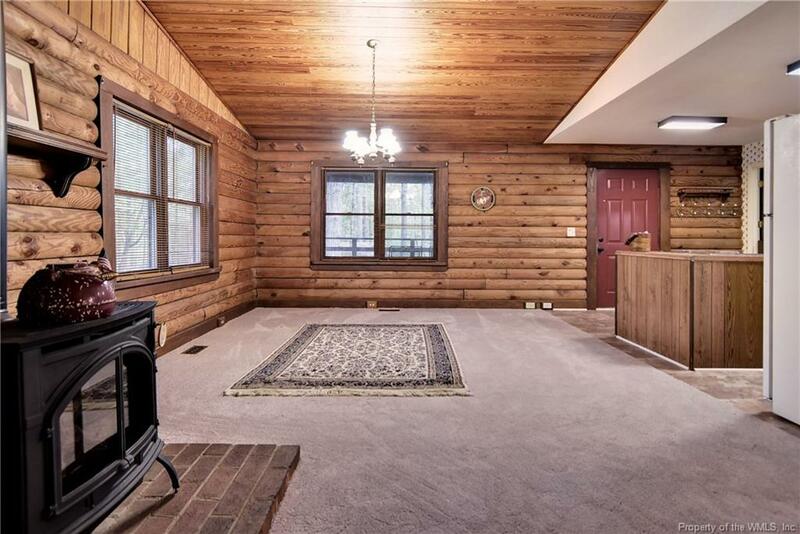 The large Great Room with Vaulted Ceiling, Gas Fireplace, and wide windows create a bright and airy feel. A scenic wooded view is permanently in the background from every angle and family activity. Kitchen opens to spacious Dining Area and Great Room for a favorable Open Floor Concept. Spacious Master Bedroom Suite with Walk-In Closet and two additional bedrooms provide plenty of space for enjoyment. New flooring has been installed throughout entire downstairs! Another nice highlight of this custom beauty is the available flex space and split bathrooms on the second level! This space can easily be used as a Bedroom, Office, or Playroom. 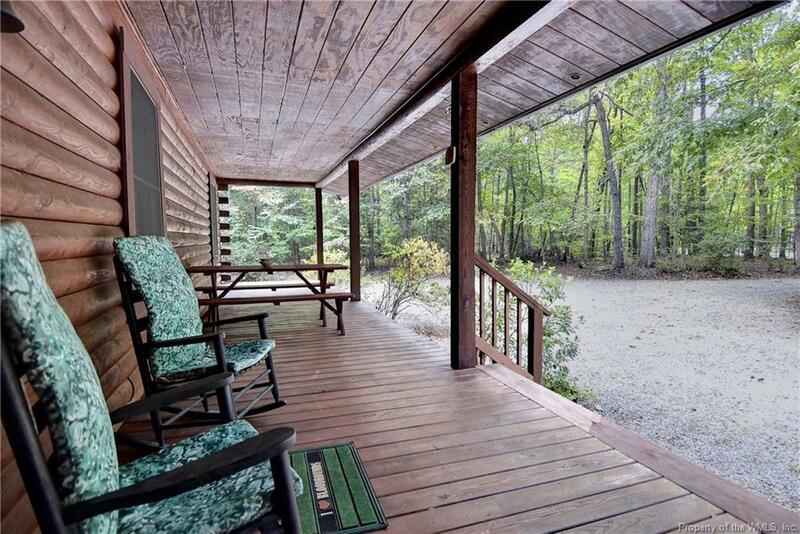 Enjoy your serene time with nature from the comfort of 2 extended Covered Porches on the front and rear of the home! One of many ways to enjoy 5 acres of private land! Other great features include a Generator and 2 Detached Sheds! Close to popular attractions of Gloucester Village, York River, and Williamsburg.